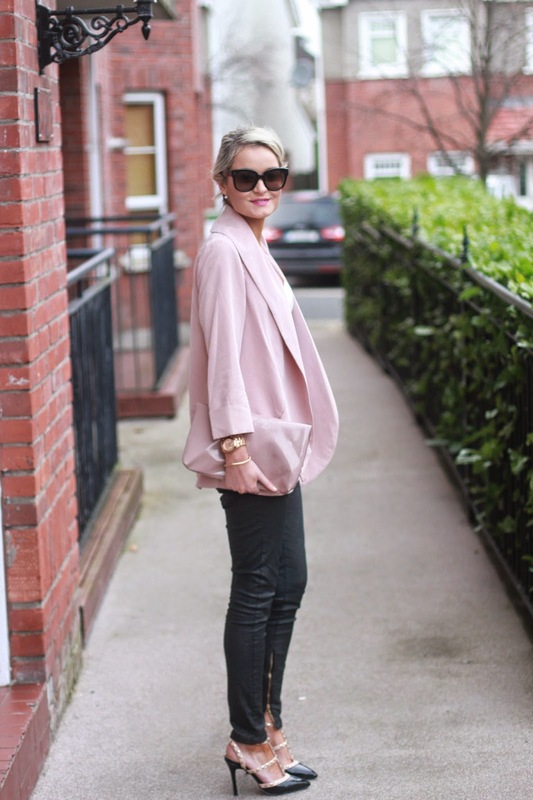 I couldn't resist this blush pink blazer when I passed it in Forever21. I've always been a lover of the colour pink but this particular shade caught my eye immediately. 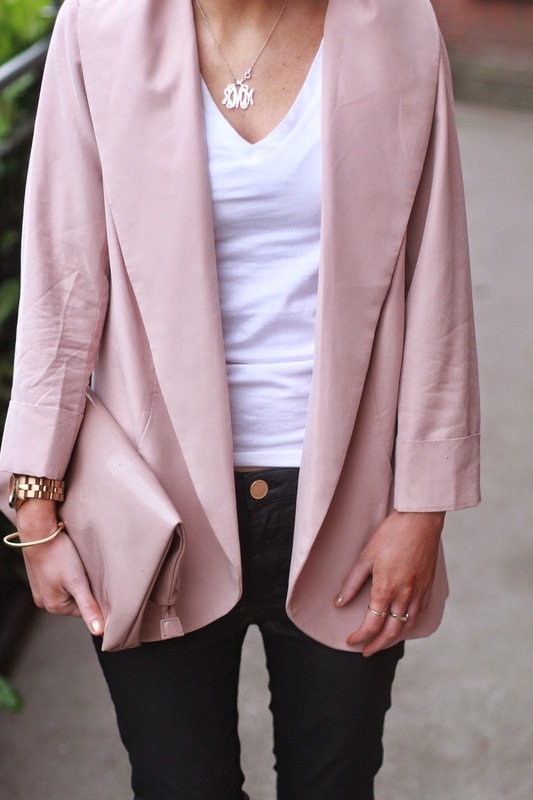 Blazers are a wardrobe staple in my opinion and every girl should own at least one. I featured a navy one in a previous post which you can see here. At this time of year it might not be entirely practical to wear them on their own but I find throwing a jacket over them for a layering effect can work very well. Enjoy the rest of the week everyone. Thanks for reading! Nice jacket, love the color! Hey I got it on mynamenecklace.ie! It's. Monogram one! 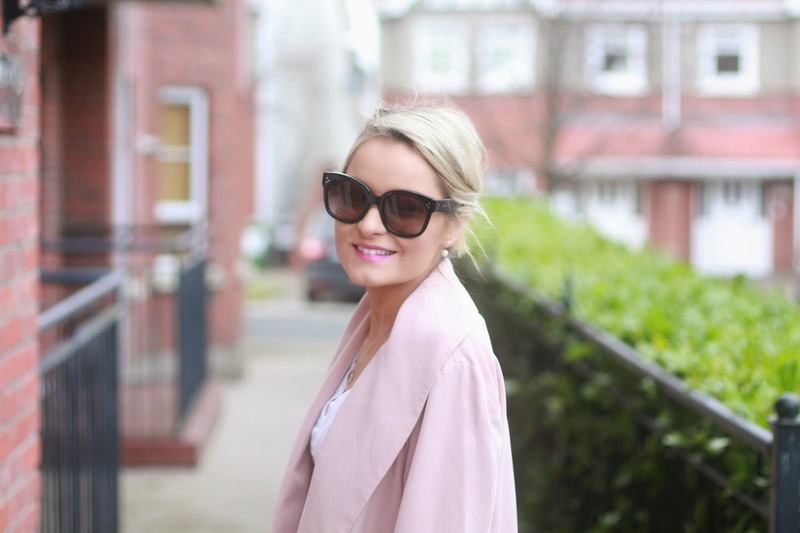 This powder pink jacket is so very chic, I love it! 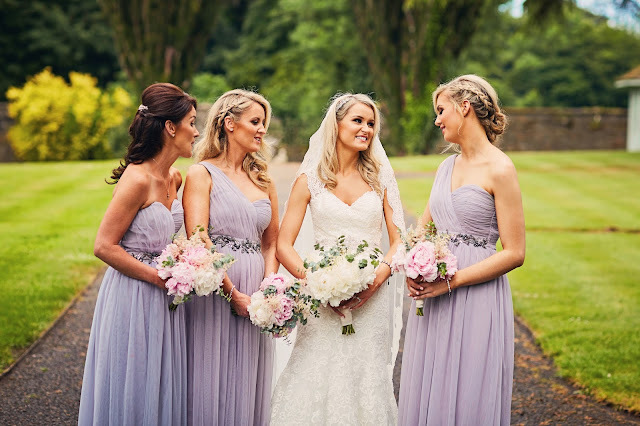 Ahh you look so gorgeous!! Love this outfit so much. You styled everything so perfect!